ESG delivers keynote at high-level Central Asia Blue Peace dialogue in Kazakhstan. June 18-20, Astana. On the eve of the Astana World Expo 2017 Future Energy, ESG’s CEO delivered the keynote address to a high-level private meeting of Central Asian government delegations, convened by the Swiss Government to discuss the future of their cooperation over water resources in the region. Central Asia is a global hotspot for water cooperation. Receding glaciers, dams and other energy investments and water needed for agriculture have sowed discord across borders since the Soviet Union’s United Energy System of Central Asia, which provided a unifying framework, collapsed in the 1990s. The region is at a cross-roads between its former Soviet past, and its new geo-strategic position at the heart of China’s Belt and Road Initiative. 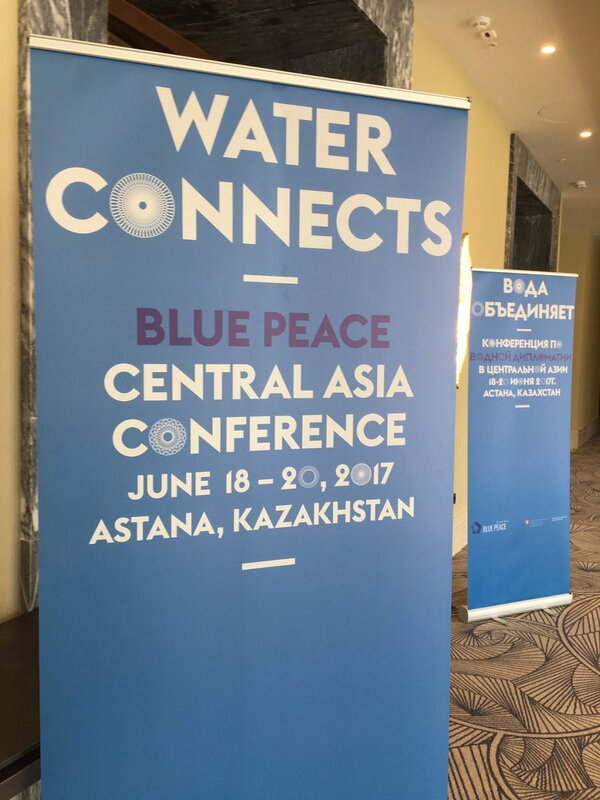 The Blue Peace Central Asia Conference comes at a crucial time for the region’s peace and prosperity. The meeting was opened by Swiss Foreign Minister, Didier Burkhalter, and the Foreign Minister of the Republic of Kazakhstan, Kairat Abrakhmanov. The dialogue demonstrated the importance of informal, consensus-based dialogue. An important milestone was reached with the finalisation of the Working Guidelines for a High Level Dialogue Platform of Central Asian Countries.